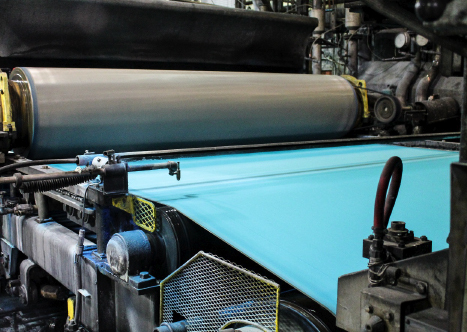 This summer, we worked with our long time partner, French Paper Co., a sixth generation, family owned paper mill, to create a limited edition color. Infused with a breezy feeling of summer, our limited edition color, Lagoon, went through a rigorous process to achieve the perfect hue. 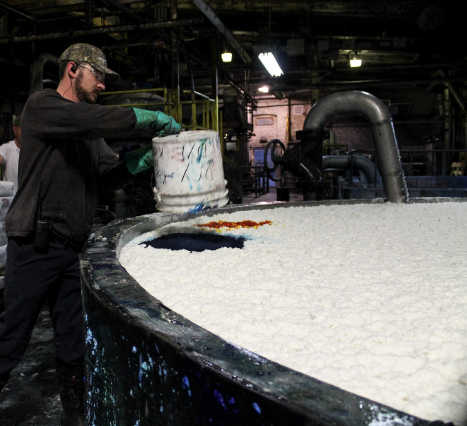 The dye is added to the beater, which contains the raw material pulp. 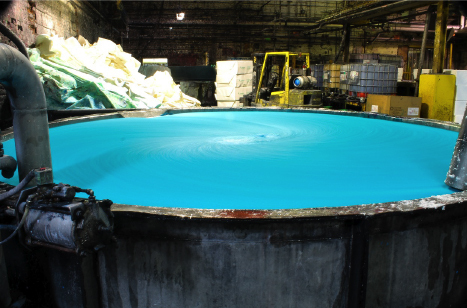 Water is added to the beater to get the dye throughout the pulp prior to mixing. Start the beater to mix the dye evenly with the pulp and water. 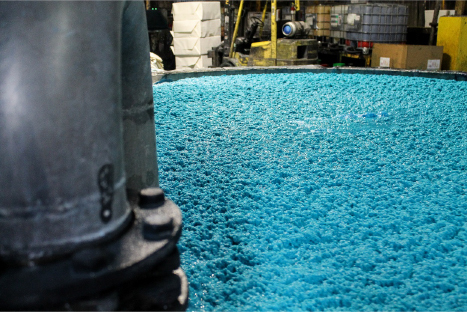 Once fully mixed, the mixture is ready to move to the press and rollers. 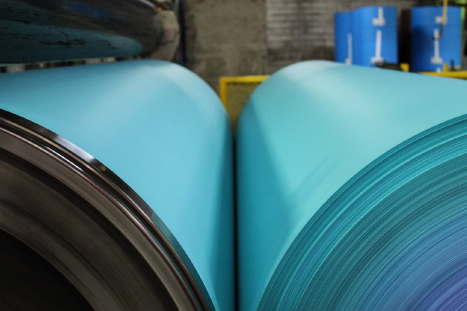 The paper moves through the press to fuse together the fibers and provide the desired finish. At this stage, the paper is primarily water. Once the paper has gone through the rollers, it’s almost complete! 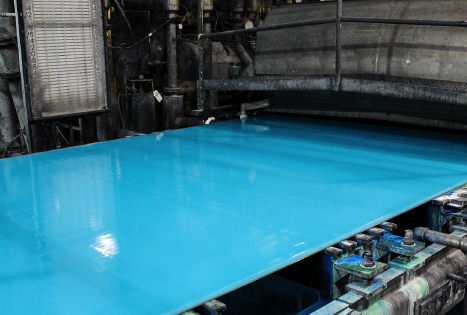 The paper will move through the final smoothing and quality checks. 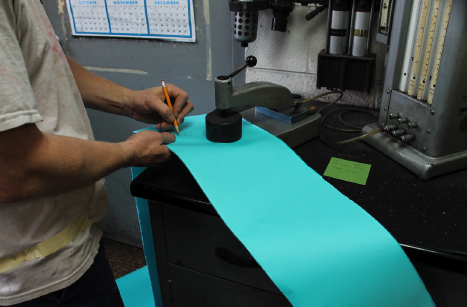 Once the desired color is achieved, the roll is broken off to start a fresh roll with the desired color. 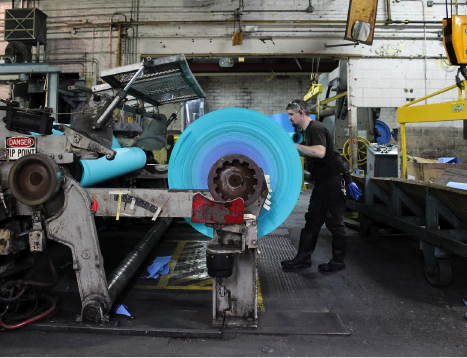 The rolls leading up to this point are called “break rolls” and are reused as scrap to make other colors! Finally, each run of paper is tested for measurements such as caliper, strength, flammability, color and tear point! Snag cards and envelopes using the Limited Edition Lagoon before it’s gone! Shop here. I think you mean dye not die. Very interesting to see the process. Beautiful color. Very interesting. Will have to look for thst paper. I am interested in how it smells! This is very enlightening. Thanks! I think we all knew that they meant dye…a compliment is not a compliment when it starts with a criticism. 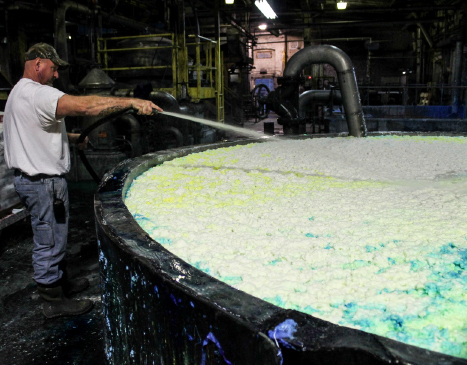 Wonderful to see the process of making paper. I appreciate your sharing it with us. I fell in love with the Lagoon color the first time I saw it and thoroughly enjoy using it in crafts and letters. 🙂 Thanks again. 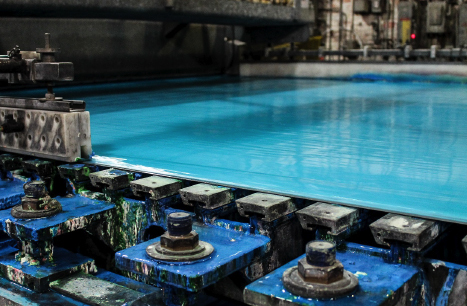 Loved seeing the behind the scenes of the paper making process – thank you for sharing! 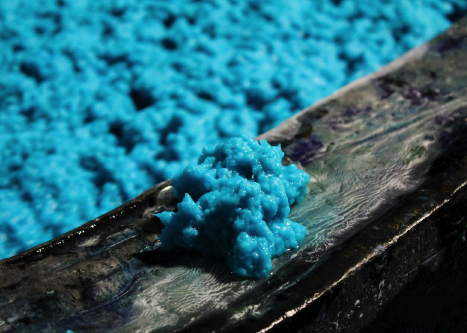 Loved to see the actual process behind products , share more of this “process” stuff on the blog! Hey, what is that tool in the last picture? Is that a die cutter (or could it be with the right attachment?)? I need something exactly like that! Any idea where to find one?